Our sister website Darshan Yeshiva is giving an awesome 40% off discount on Torah Study, Intro to Judaism and Darshan Training as a Hanukkah gift to the PunkTorah community. This is on top of the 14 day free trial that you already get just for signing up. Just use discount code GELT2014 today through December 25th to receive the discount. 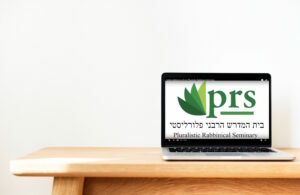 While you’re there, check out Darshan Yeshiva’s new conversion to Judaism program and new rabbis. We’re making Jewish education even more affordable with our new Torah Study Track. This track is great for beginners, non-Jews who want to learn more about the Hebrew Bible, as well as people interested in converting to Judaism. This series is only $4.99 per month with no obligation and you can cancel at any time. Student Bud Andrews talks about what God is, and isn’t.